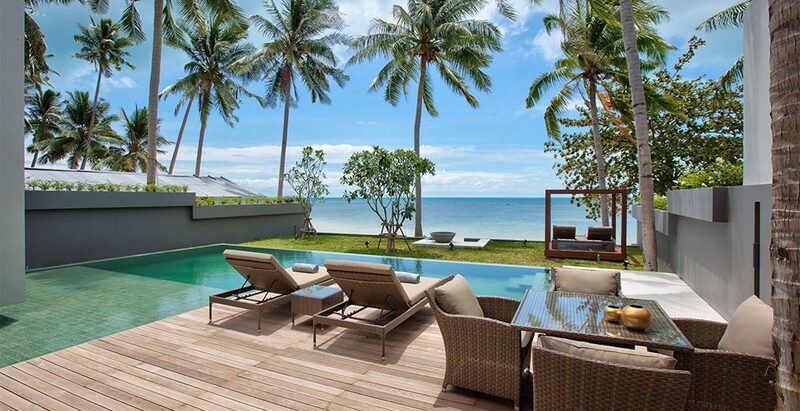 Villa Neung is one of the two properties housed by Mandalay Beach Villas, located in Laem Noi, north-west coast of Samui. Enjoying a spot on a prime location on Samui’s most picturesque palm-fringed beaches, this beachfront villa offers three bedrooms, all with bright contemporary design and airy living areas enjoying the views of the pool, garden and beach. A villa manager and a team of staff including housekeepers, service attendants, security and an on-call private chef, ensure individual guest needs are catered for. Villa Neung is ideal for families and small groups of friends looking for a stylish beachfront holiday.